Being among the top museums in the world doesn’t come easy. 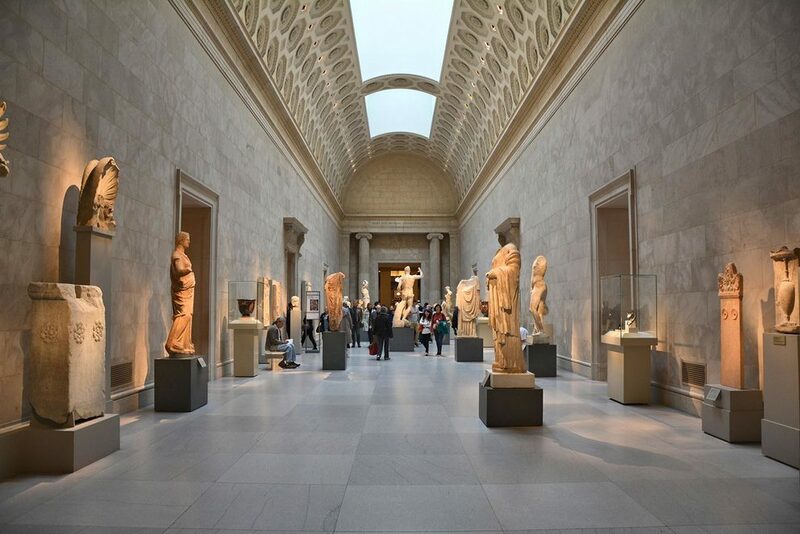 The Metropolitan Museum of Art (The Met Fifth Avenue) and its counterparts, The Met Breuer and The Met Cloisters group a collection of masterpieces from ancient to modern times. Next time you’re at the Royalton living the good life, these art havens are just a short subway or bus ride away. Art. A lot of it. Maybe too much of it for one day. Visiting the Met Fifth Avenue stops being fun when you try to see everything at once. With over 2 million works of art from all around the world, trying to visit all of the Met’s galleries is just impossible. Our advice? Prioritize. Check out the map, pick a couple of your favorite galleries and start from there. If medieval art was among your top choices, you won’t want to miss the Met Cloisters - medieval monasteries-turned-art-museum. Situated in Fort Tryon Park, the visit alone makes the trek more than worth it. You’ll see amazing views of the Hudson River and northern Manhattan. The newest addition to the family is the Met Breuer. Although the Whitney Museum of American Art was relocated to Chelsea to make way for it, the Breuer is now a cherished member of the contemporary art museums of the New York. With so many visitors barely paying the suggested admission, there are other ways to keep the museums going. All three locations offer dining options for all occasions and budgets. We recommend The Cantor Roof Garden Bar of the Met Fifth Avenue (seasonal) for great views of Manhattan and The Trie Café of the Met Cloisters, a quiet outdoor café surrounded by stone walls and gothic arches. From the Royalton: Walk four blocks to Grand Central Terminal and take the subway, Lines 4, 5 or 6 (green) at Grand Central/42nd St and head uptown to 86th St. Walk three blocks to reach Fifth Avenue. From the Royalton: Walk four blocks to Grand Central Terminal and take the subway, Lines 4, 5 or 6 (green) at Grand Central/42nd St and head uptown to 77th St. Walk two blocks to reach Madison Avenue and two blocks down to 75th St.
From the Royalton: Walk four blocks to 42nd St/Port Authority Bus Terminal and take the subway Line A (blue) heading uptown to 190 Street/Fort Washington Avenue. Exit and walk for about 10 minutes up Fort Tryon Park. You can also walk to Madison Avenue and 57th St and take the M4 bus to Fort Tryon Park/The Cloisters. It stops right in front of the museum. Adults $25, Senior (65 and over) $17, student $12, free for children under 12 accompanied by an adult. Ticket includes same-day admission to The Met Fifth Avenue, The Met Breuer and The Met Cloisters. The Royalton Hotel is the perfect place to stay when visiting the Met. Why not take a look at our Special Offers before booking your stay?